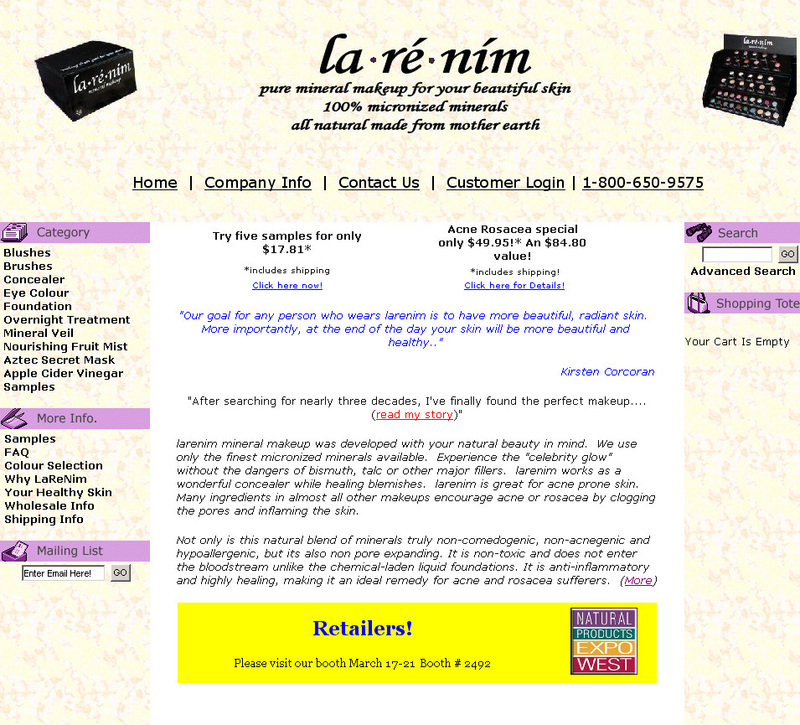 Kirsten Corcoran, founder of Larenim Mineral Makeup, along with her husband, Mike, came to us to redefine them. They had created a product of superior quality and exceptional beauty, but were not being effectively marketed or showcased — online, at tradeshows, or in stores. 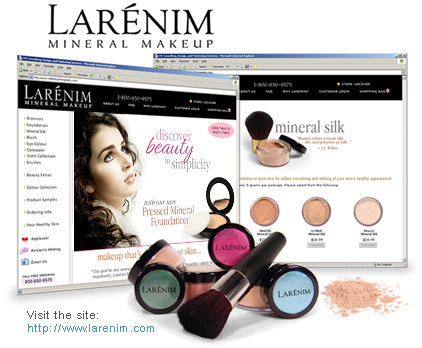 Our tasks were to change their image, bring their products to the attention of women seeking high quality mineral-based makeups, and increase sales. For their website, they needed a total redesign from their previous site which was hurting their image. We sought to use alluring, feminine colors, a crisp professional layout that would appeal to a discerning female audience, and to offer up a user-friendly interface. It was important for navigation to blend seamlessly into the secondary pages of the site, using a uniform color palette that takes its lead from the site photography. The photography used at the Larenim site had to be cutting-edge, sharp and clear, and needed to convey an appealing message. Main page photos were accompanied by appropriate quotes to further bring a sense of beauty and elegance to the site.